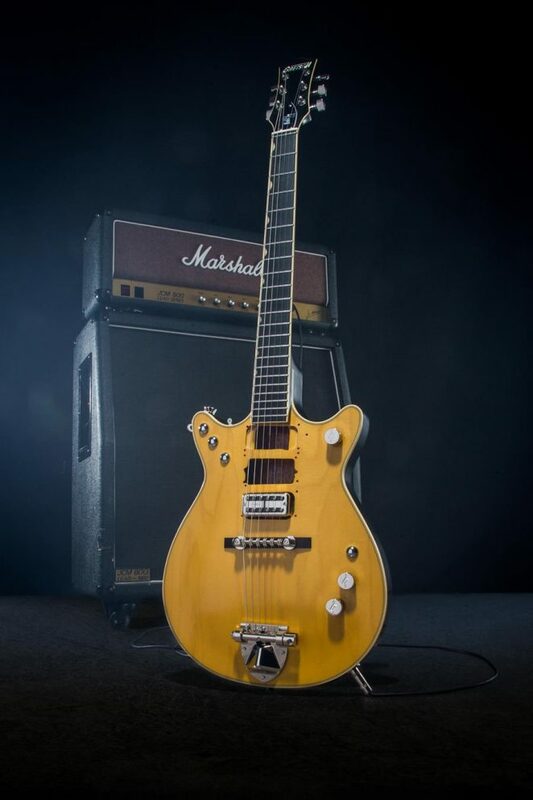 Gretsch® honoUrs the late Malcolm Young, whose rock-solid rhythm guitar swagger and songwriting provided the unshakeable foundation for monumental rock titans AC/DC, with the G6131-MY Malcolm Young Signature Jet™. This model features the essential hallmarks of one of rock’s most iconic instruments including “DIY” pickup routes with simulated screw holes, chrome switch plugs, Space-Control™ bridge with ebony base and ‘60s-style tailpiece. Open-cavity thunder roars from the thin-skin satin finished chambered mahogany body and is magnified by a high-output TV Jones® Power’Tron™ pickup. “AC/DC had a sound of their own and this guitar was the foundation of the sweet and nasty tone we all know them for,” said Social Distortion’s Mike Ness.